All makes and models. Call 01484 684 669 to book. 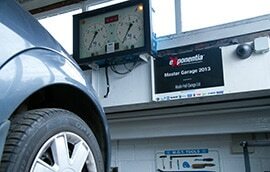 Muslin Hall Garage is an Approved MOT Test Centre. 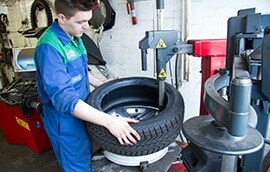 We will make sure your vehicle is roadworthy and legal and highlight any potential future problems. We carry out servicing and diagnostics on all makes and models – from an Audi to a VW – as well as vans and other light commercial and agricultural vehicles. The combination of state of the art diagnostic systems and decades of experience allow us to quickly get you back on the road in the shortest possible time. Decent tyres are not only crucial to the safety of your vehicle, they can also improve your fuel economy and make long journeys less fatiguing. 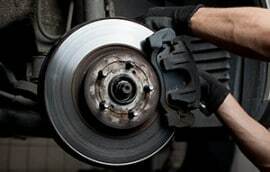 Brakes are without doubt the most important part of your car. Your life depends on them. 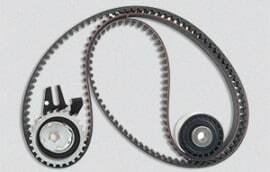 The timing belt on your car is a critical component that needs replacing every few years to prevent engine damage. Once your clutch starts to slip it could fail at any time leaving you with no drive and possibly stranded miles from home. 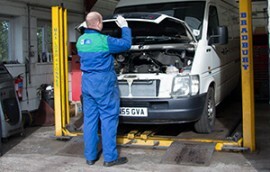 Did you know that if your car is under warranty you do not need to go the dealer you bought if from for your servicing? I have a Skoda Fabia, just out of warranty that developed a faulty rear wash/wipe. The main dealer quote was far too much and Muslin Hall Garage simply ordered the OEM replacement part and fixed with minimal fuss! Steven is a font of knowledge for all things Land Rover. He’ll happily tell me things I can do myself rather than charge me to do it. Highly recommended!